FB: Although still in its infancy, Seattle is being trumpeted as a “model” franchise for purposes of marketing and fan outreach. 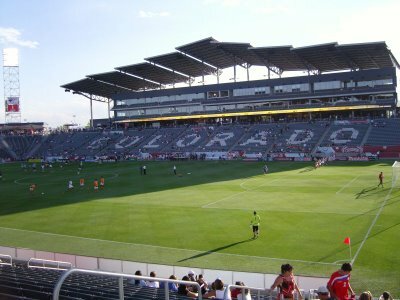 Are their any lessons that an established franchise like Colorado can take from Seattle’s efforts? KC: Sure. All the teams in the league have heard that success story. There are certain elements to their success. They set their club up right from the get go. They are very involved in their supporters group. They also have some of the benefits that we may not be directly benefiting from like a stadium directly downtown. They have bars that you can walk to which is something we would kill for. So the Rapids would now “kill” to have bars in walking distance. Hmm, maybe they should have thought about that when they built there stadium out in the middle of nowhere! Seattle’s situation isn’t unique – other cities can also be like Seattle, provided they locate their stadiums in central urban areas, work hard to develop an authentic and engaged fanbase, and put out a good product on the field. What MLS teams didn’t count on in going after the family friendly Disney like suburban environment is that to build a sustainable franchise you have to make people care and want to follow. Not just attend, but to follow. Making the experience an authentic and emotionally powerful experience as possible is critical to developing a following. The Rapids have figured this out by setting up a supporters section and limiting the day-of game promotions. But ultimately one the key’s that Seattle has discovered is that they have made going to games part of the nightlife entertainment scene and therefore it has become part of the cities social fabric. And its not just about the game, it is also what happens before the game. The Sounders have been a boon to the bars near by and the walk to the stadium before the game is a fantastic community/crowd building event. In short, the Sounders, much as Barra Brava did with DC United have built a community around the team. It seems hard for me to see how this can really be created by the Rapids in Commerce City or FC Dallas in Frisco. Perhaps the Rapids could provide a shuttle bus for supporters back to downtown or to other parts of the city.